Built in 2011 by Streetcar Developments, Corktown District I Condos stand 7 Storeys High with 134 Suites. Located at King Street and Sumach Street, 52 Sumach Street, Toronto is located in the ever growing Moss Park neighbourhood. This is one of Toronto's most walkable neighbourhoods to live in, with many parks, schools, grocery stores and restaurants within walking distance. 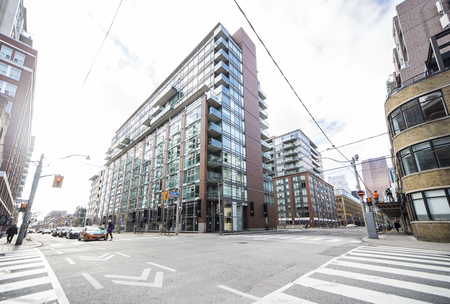 Corktown Condos I is also within close proximity to the historic Distillery District neighbourhood, and is within easy access to TTC services. 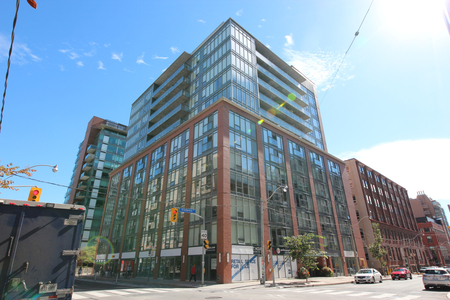 Click here for Real-Time Listings, floor plans, amenities, prices for sale and rent in Corktown District I Condos at 52 Sumach Street, Toronto, updated daily.